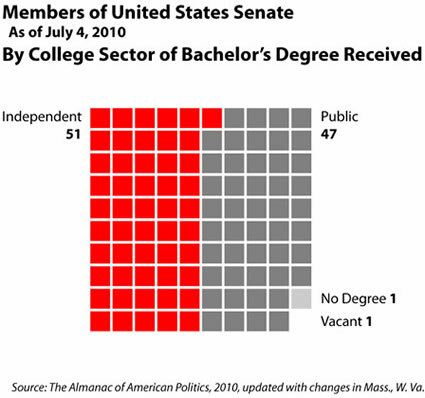 Graduates of independent colleges make up a veto-proof majority in the U.S. Senate. 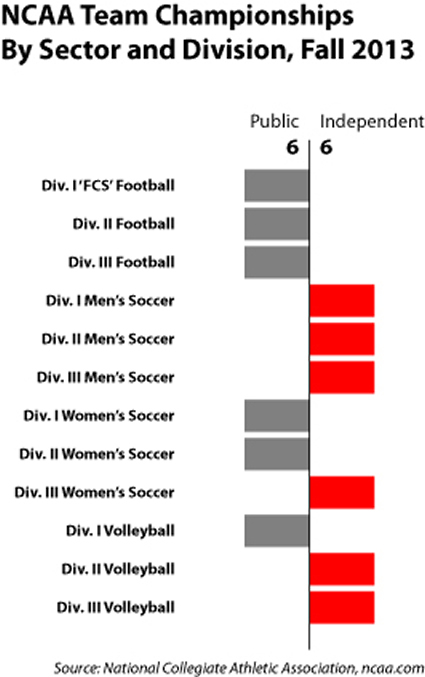 Independent colleges were the champions among the NCAA titleists this fall. 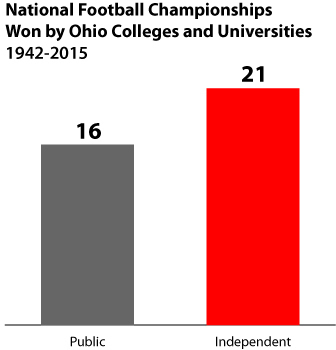 Mount Union's victory this weekend in the NCAA Division III football championship extends the Ohio independent sector's lead in national titles won since World War II. 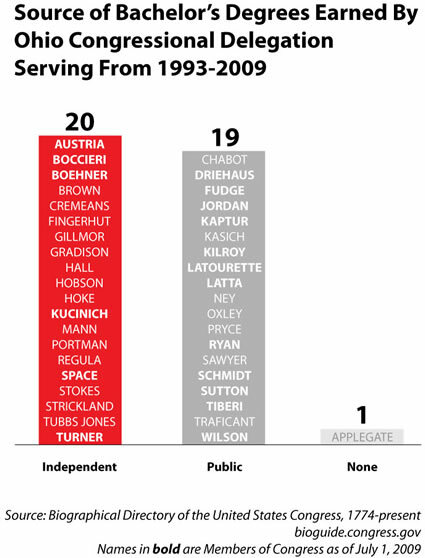 For details and sources, click here. 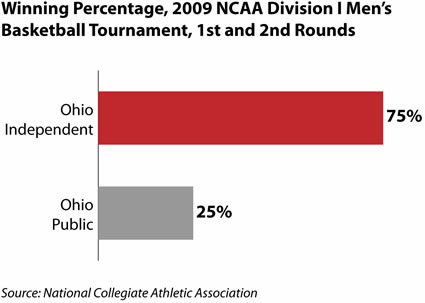 In the fall NCAA tournaments to be completed this weekend (the Bowl Championship Series is not an NCAA championship), independent colleges held their own against their much larger rivals. 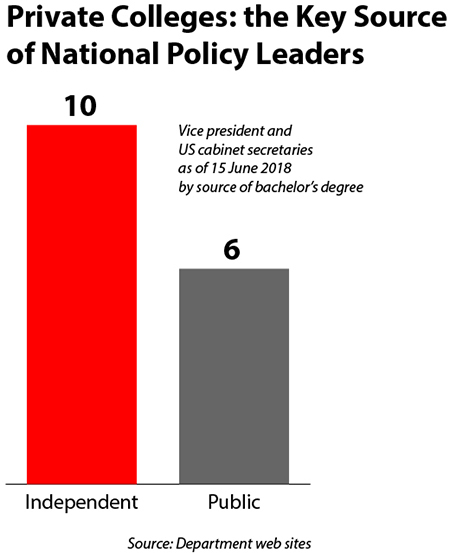 Presidents of both parties naturally call upon graduates of independent colleges for leadership positions in their administrations. 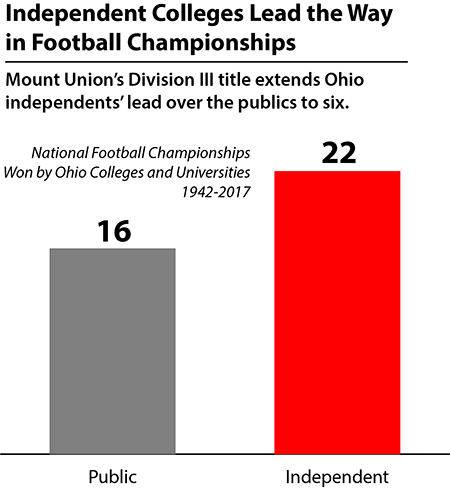 The University of Mount Union's triumph in Friday's NCAA Division III football championship game extended the lead of Ohio's independent colleges in football titles won since World War II. 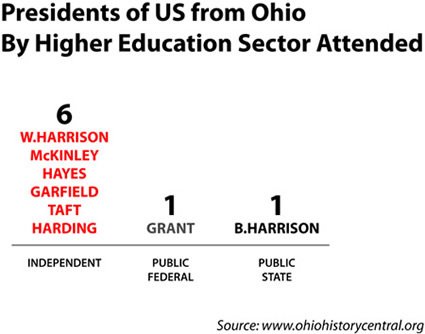 For more details on where Ohio's presidents attended college, go to the AICUO weblog. This season, independent colleges are showing their basketball mettle in the Division I women's tournament as they have at all levels of the sport, including championships already won in NCAA Divisions II and III and NAIA Divisions I and II. 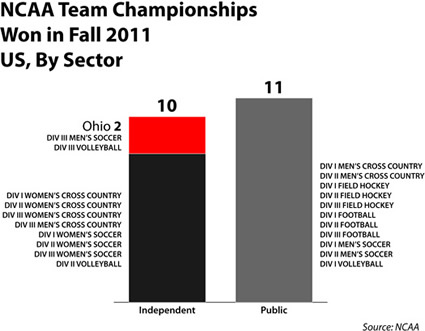 Ohio's independent colleges (Ohio Wesleyan in men's soccer and Wittenberg in volleyball) tie with their peers in Illinois and public campuses in Wisconsin and Colorado for the most championships by state this season. 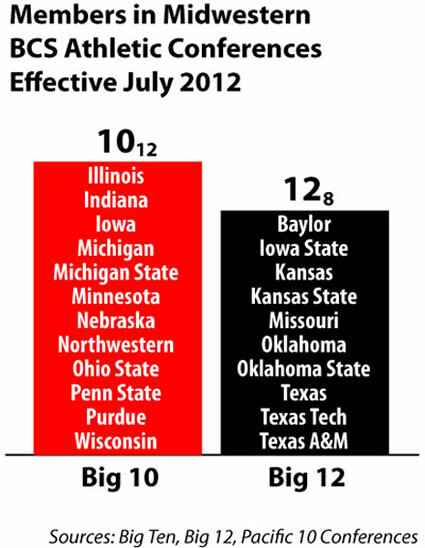 To understand the reconfiguration of football conferences, you have to have taken the "new Math" in school. 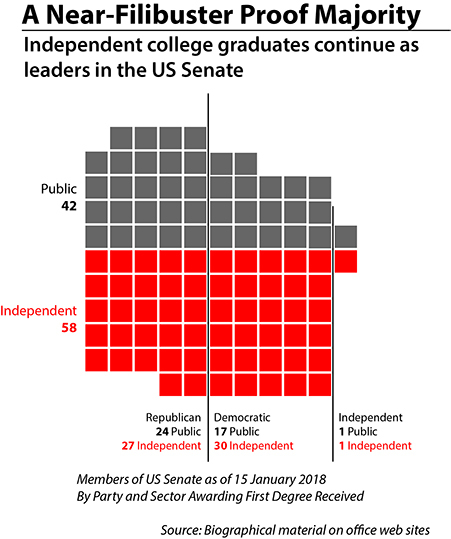 Independent college graduates continue to hold a majority in the U.S. Senate. 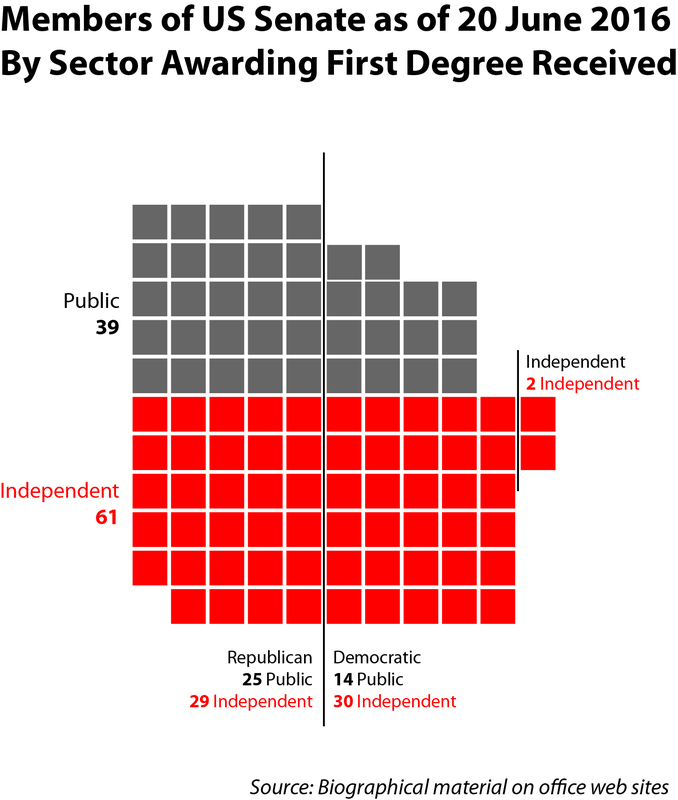 Independent colleges, including AICUO member Xavier, outperform their public counterparts in more ways than just education. 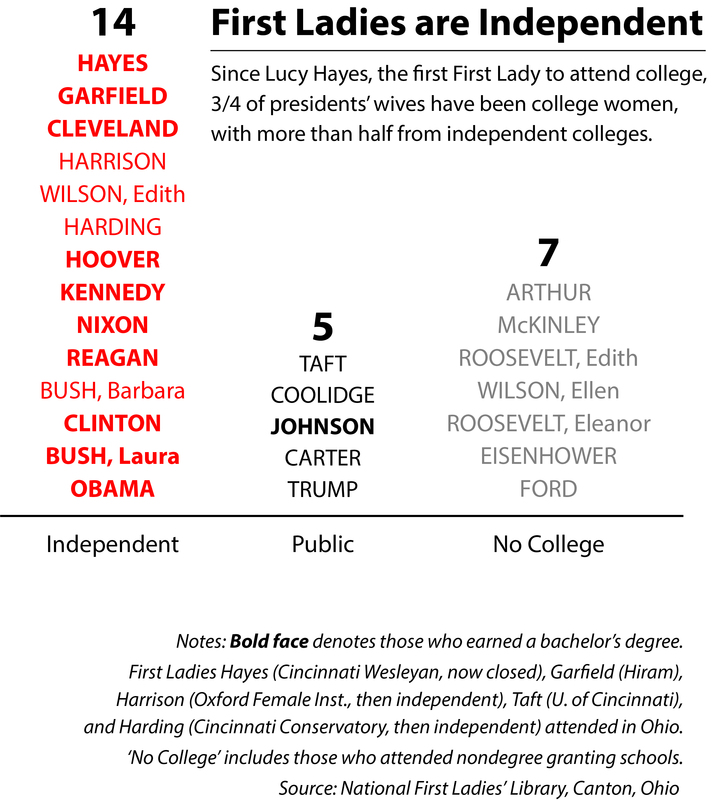 The "better half" is now the better-educated half of US married couples. 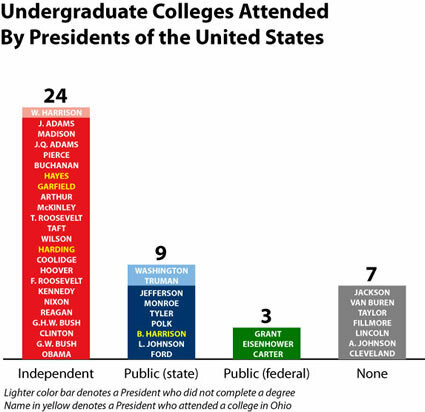 Since the 1862 Morrill Act, which enabled the first state-funded land-grant colleges and universities, the proportion of presidents who attended independent colleges (18 of 28) is even higher than the share of all presidents (24 of 43, counting Cleveland only once). 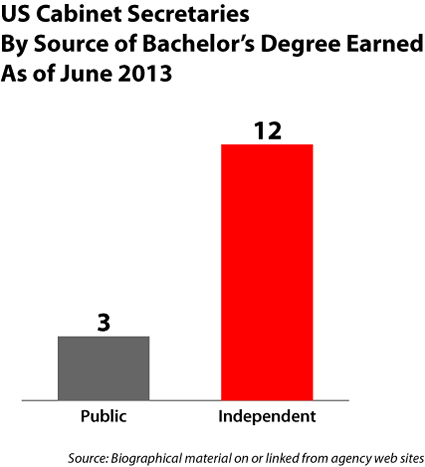 Although Ohio's independent colleges award just over a third of the bachelor's degrees awarded in the state, half of the delegation in the 103rd to 111th sessions of the U.S. Congress received their degrees at an independent college. 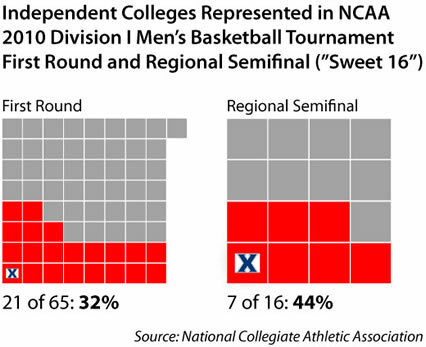 Of the 16 remaining teams in the tournament, five are from independent colleges. Ohio's Xavier joins Villanova, Duke, Gonzaga, and Syracuse in the third round this weekend. 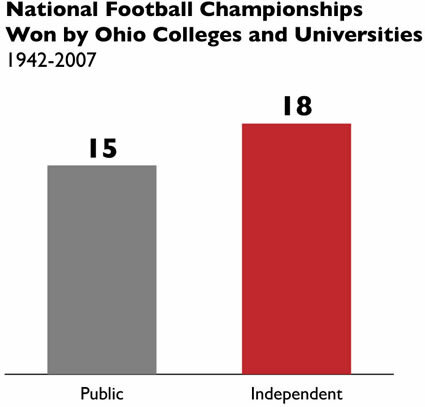 Ohio's independent colleges share a history in football - Oberlin was the last Ohio college, public or private, to defeat Ohio State (7-6 in 1921) - and a record of accomplishment in the championship tournaments. 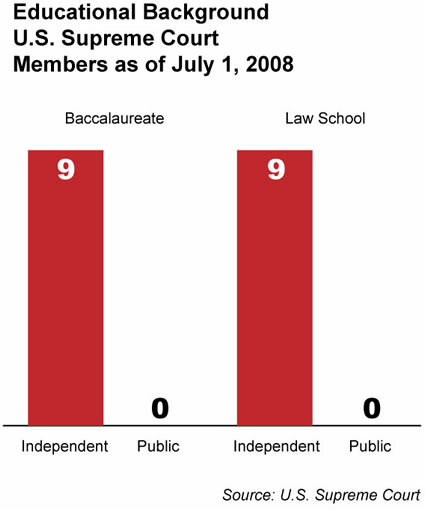 Note how the stewards of the freedoms the founders demanded on July 4, 1776, are all graduates of independent colleges and independent law schools.